Print more images for less with this pack of compatible extra high capacity Dell 593-1112 toner cartridges. Four cartridges are supplied in the compatible Dell 593-1112 toner pack which includes the compatible Dell 593-11119 black toner, the compatible Dell 593-11122 cyan toner, the compatible Dell 593-11121 magenta toner and the compatible Dell 593-11120 yellow toner. Huge savings are possible when using these compatible Dell 593-1112 printer cartridges because of the higher volume of toner and the lower purchase price. Approximately 12,000 pages can be printed from the compatible 593-11119 black toner and each of the compatible 593-11122, 593-11121 and 593-11120 cyan, magenta and yellow cartridges has a long-lasting capacity of 9,000 pages. Having been strictly tested on Dell printers, these compatible 593-1112 printer cartridge deliver excellent graphics with bold colours and work consistently from start to finish. 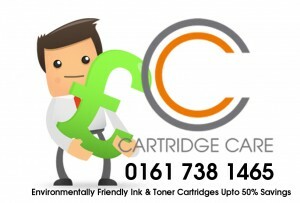 Buying printer products is made cheaper here at Cartridge Care Manchester where you can buy a pack of very cheap compatible Dell 593-1112 cartridges. We can deliver this compatible Dell 593-1112 extra high yield 4 colour toner set to you free of charge with expected next day arrival of your order. For quality assurance, we offer a 100% satisfaction guarantee so unless your compatible Dell 593-11119, 593-11122, 593-11121 and 593-11120 printer cartridges perform to a high standard you can return them for a refund. This entry was tagged 593-11119, 593-11120, 593-11121, 593-11122, Compatible Dell Printer Cartridges Manchester, Compatible Dell Toner Cartridges Manchester, Dell 593-11119, Dell 593-11120, Dell 593-11121, Dell 593-11122, Dell C3760 Toner Cartridges Manchester, Dell C3760dn toner cartridges Manchester, Dell C3760n toner cartridges Manchester, Dell C3765 Toner Cartridges Manchester, Dell C3765dnf toner cartridges Manchester, Dell Ink Cartridges Manchester, Dell Printer cartridges Manchester, Dell Toner Cartridges Manchester, Refill Dell Toner Cartridges manchester, Toner Cartridges Manchester. Bookmark the permalink.